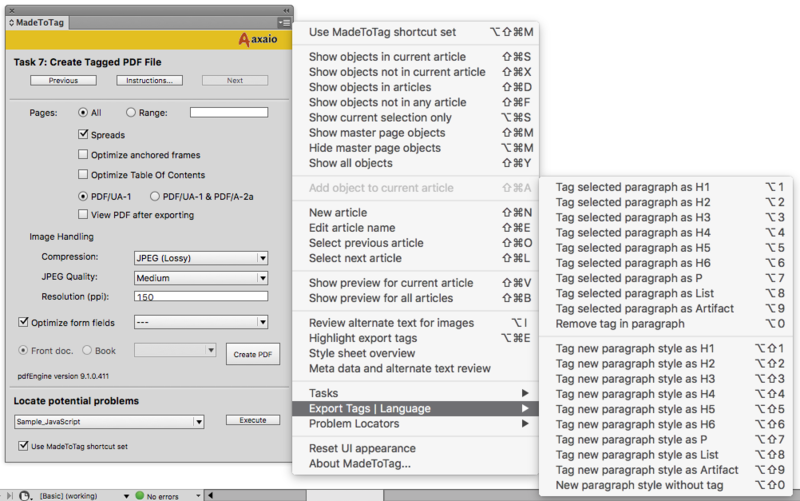 The flyout menu lets you control all important MadeToTag tasks. 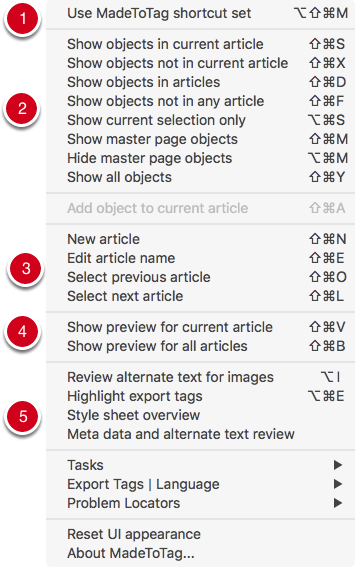 Even better, these tasks can be executed using keyboard shortcuts if this option is enabled (either using the checkbox in the main window (1) or the first entry in the flyout menu (2)). 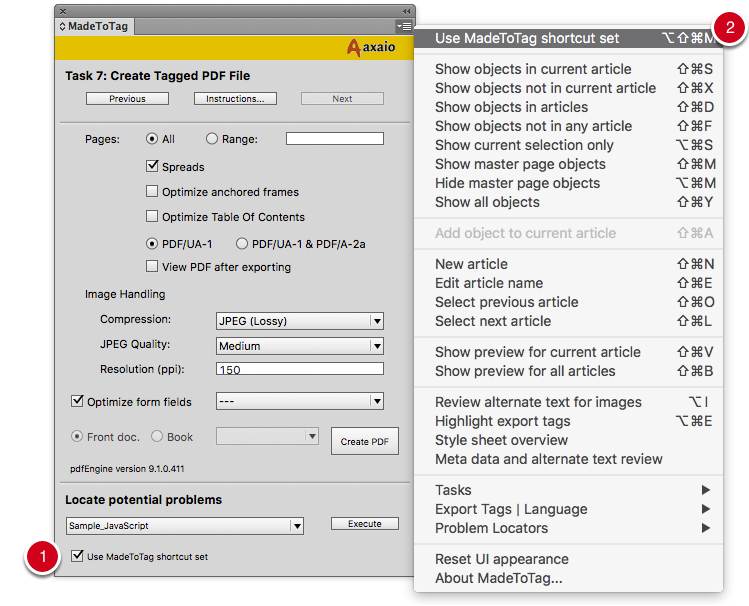 Note: If MadeToTag keyboard shortcuts are enabled, any other keyboard shortcuts in Adobe InDesign will be temporarily disabled. 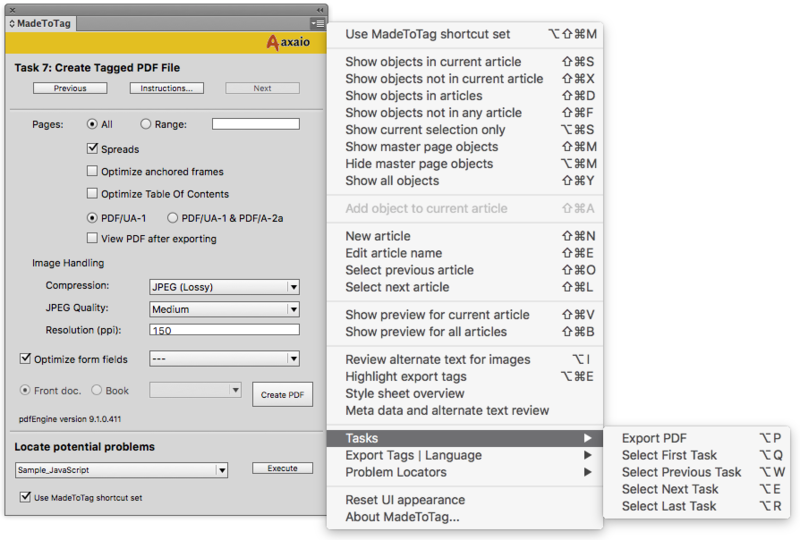 Keyboard shortcuts can be edited via the InDesign option for keyboard shortcuts (Edit -> Keyboard shortcuts... -> Product area: axaio MadeToTag). 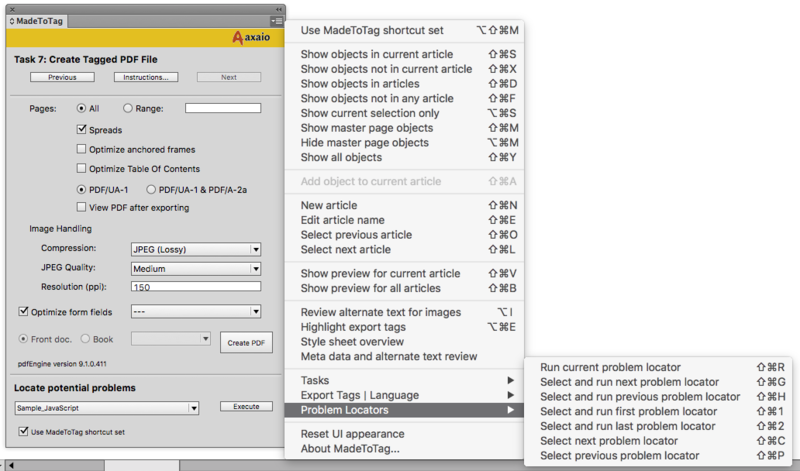 Items that currently do not have a keyboard shortcut or even existing ones can have a new keyboard shortcut assigned.